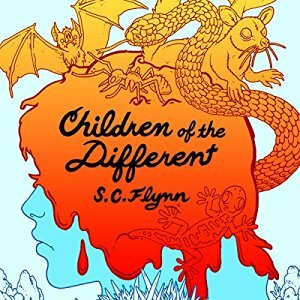 First review of the audiobook of CHILDREN OF THE DIFFERENT – and very positive! As the reviewer says, narrator Stephen Briggs did a great job. This post-apocalyptic tale is set in Western Australia. 19 years ago, the Great Madness killed most of the world’s population. Now when children enter their adolescence, they go into a trance-like state, entering the Changeland, and may come out of it fairly normal or a bit deranged and prone to cannibalism. Arika and her twin brother Narrah are at that age and their adventures in the Changeland will alter them, and perhaps their small society, forever. Previous: Previous post: It Speaks! Thanks for reblogging my review – such a unique and great story.